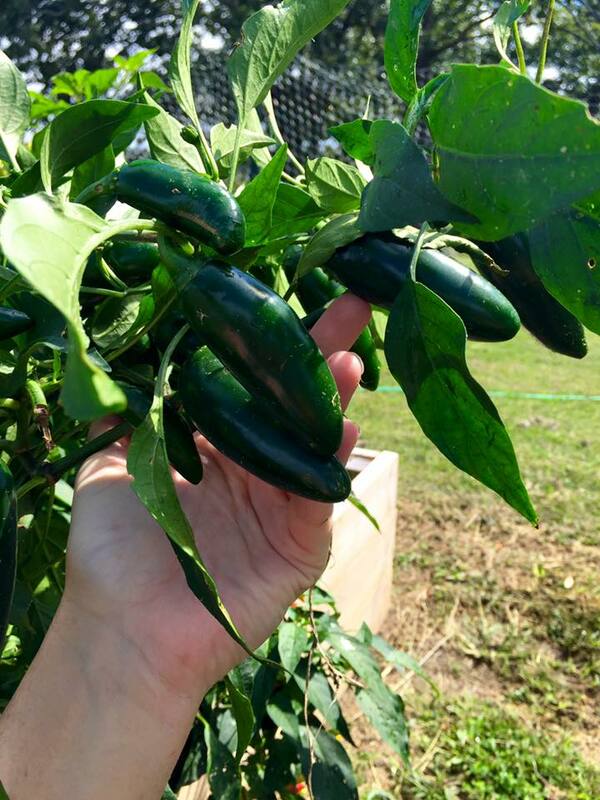 Has your garden ever produced so many jalapenos you wondered why you planted four plants for a family of four? When I garden, I go all-out! And plants are like really good potato chips, you can’t just have one. I can’t just plant one variety of a plant…I want another and another and another. This season we installed raised beds at our house, as we started a three-year backyard project that consists of raised beds, a micro orchard and a small greenhouse. I might even throw in a moveable chicken coop if the hubby agrees to build one. 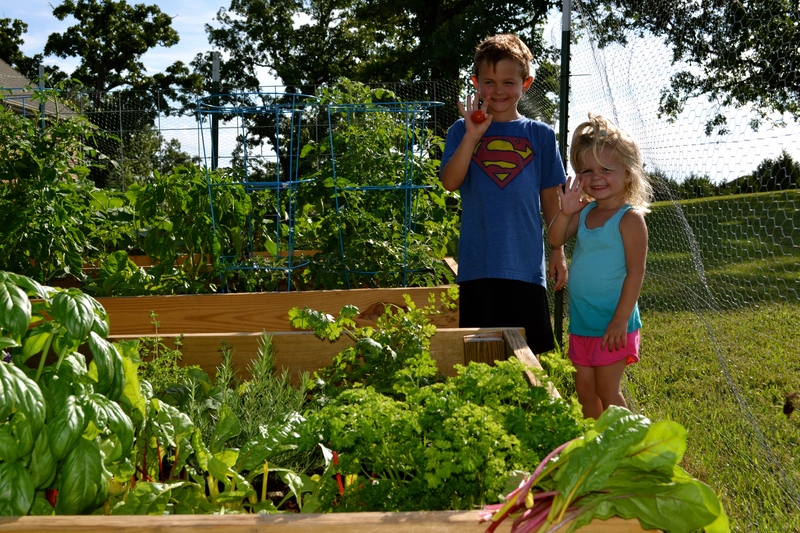 We installed only three raised beds early this spring and I have to say that my garden really impressed me with the amount of produce harvested for my family of four. Swiss chard, kale, carrots, beets and spinach were our spring crops, huge variety of herbs, seven tomato plants, lots of pepper plants, more carrots, Swiss chard and beets, cucumbers, and we even harvested a couple pie pumpkins and six delicious cantaloupe and banana melons. Now, our garden has turned to fall with our pepper plants and herbs still producing, lots of spinach and bibb lettuce, carrots, beets and tons of winter squash (spaghetti, acorn and butternut). I did some research on the web and talked to my own farmers about any good recipes for pepper jelly and finally decided to take a base pepper jelly recipe and add my favorite fruit- raspberries- to it. The result- HEAVEN! I think raspberries are the perfect compliment to the hotness of the jalapeno and this recipe is super easy- no canning needed, just lots of freezer space. This is a freezer jam that is easy and tasty- guaranteed. I’ve put up 30 half pint jars thus far and will be making more this weekend. I plan to use these as Christmas gifts for family and friends. Plus, I just love to share good, wholesome food with friends! Have 8, half pint jars washed, rinsed and dried. In a food processor add the berries and plus the processor a few times to crush the berries. Next add the jalapeños and sugar and plus about 10 times. Pour this mixture into a large bowl and let stand 10 minutes, stirring every so often. While the berry mixture is hanging out, doing it’s thing, bring the water and pectin to a boil over high heat in a small saucepan. Boil this mixture for about 1 minute. Pour the pectin mix over the berry mixture and stir for 3 minutes, constantly. Fill the jars with the mixture, leaving about ½” of container top. Clean off the edges of the jars to remove any spilled mixture. Cover with lids and let stand at room temperature for 24 hours. 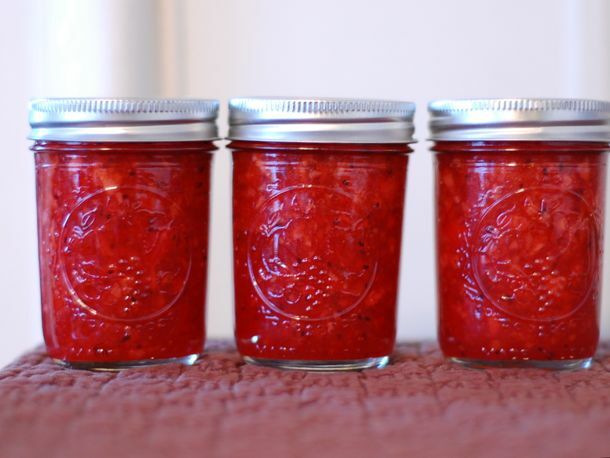 You can use the jam after 24 hours, store it in the fridge for a month or freeze for up to a year. To use after being froze, thaw in the refrigerator. What’s your favorite way to use pepper jelly?